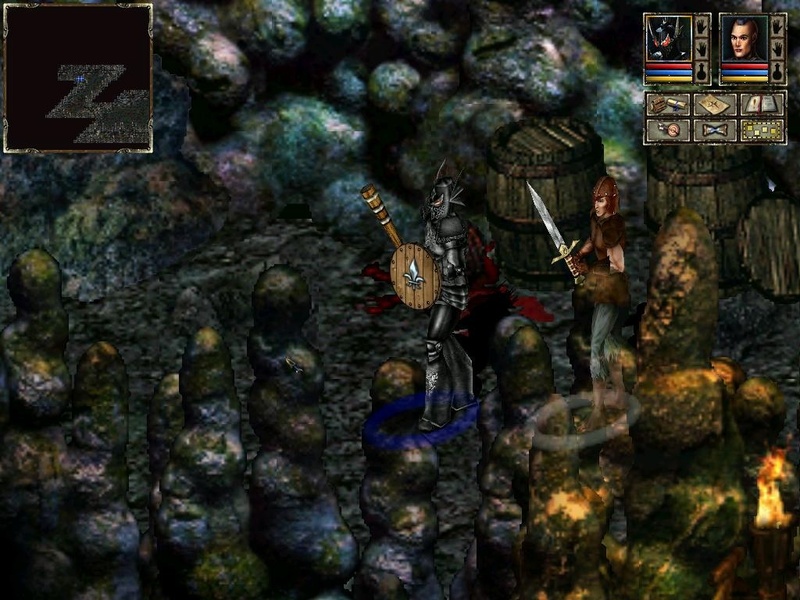 I remarked that Divine Divinity (the daft title was forced on the team by the publishers — makes sense) suffered heavily from not knowing whether it was a tactical RPG or a hack ‘n’ slash, awkwardly straddling both spheres not particularly well. The story takes a markedly different tack than the very… traditional… Divinity. There’s no saving the world, this time — there is only you and your Death Knight pal, merged together as punishment for both your failures. You start in a hellish citadel and make your escape, and if one dies the other goes with him. You escape through a semi-demonic dimension away from the real world, replete with rivers of lava and trees of mushroom and its own peculiar inhabitants. 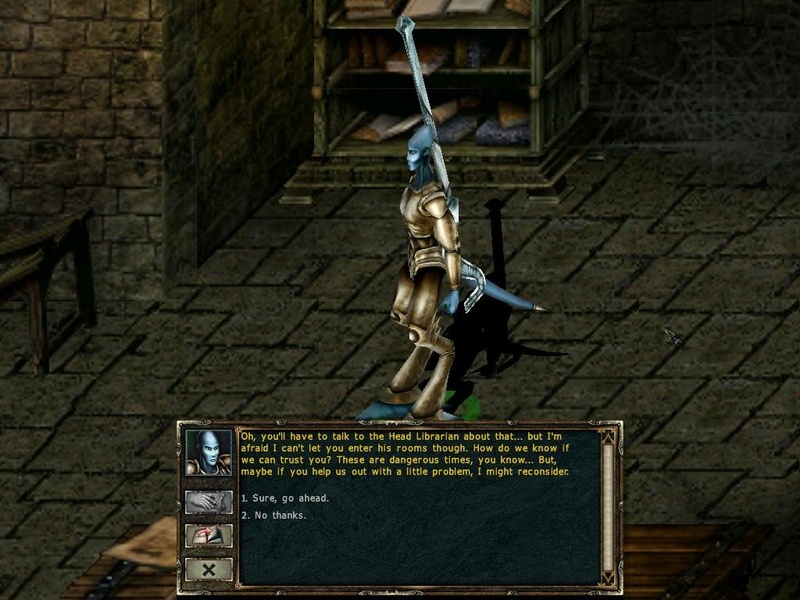 It is built on the same engine as Divinity before it, with the notable addition of polygonal 3D models for characters and enemies in the isometric 2.5D world. Pause now works, in that actions are queued rather than resulting in an immediate unpause and execution. The RPG systems have also taken a huge beefing, with the Strength/Agility/Intelligence/Constitution attribute roster expanding to include Speed, Survival and Luck, and the Lightning/Fire/Poison/Spirit resistance setup blossoming to include a whole load more. The zoom function is pretty handy when you’re a bit blind, like me. My first impressions of the game were not great, though this is somewhat a failure on my part. Divinity‘s combat system wasn’t its strongest element; Divinity‘s strongest elements were its conversations and its world interactions. While combat has been improved somewhat in Beyond Divinity, it’s still got a lot of the same issues, like no automatic target acquisition, meaning that most of your combat actions are giving attack orders rather than doing anything tactical. I spent the entire first act of the game in combat. I reached an impasse and gave up on the game. I decided that three months later was probably about time to grab a walkthrough and give the game another shot before writing a hateful blog and moving on to Divinity II. I discovered that I had missed a huge pile of non-combat content in the first act, because I didn’t wear Citadel Guard armour through it. While this was suggested to me by the Death Knight as a way of avoiding confrontation, the first few guards I did find when wearing it didn’t care at all and attacked anyway, so I soon found better equipment. It seems that I managed to sleepwalk into the path of least fun, and bounced right off the game. This is the true face of horror. Fire and brimstone ain’t got nothing on this. But even had I swapped the pain for the banter, that first act is fraught with pain. The walkthrough would have been necessary to complete it as the final puzzle is rather obtuse — the solution involves combining a few innocuous items, items that are scattered throughout the huge levels and I had walked past before but did not remark upon or collect. I had to backtrack for ages (and that gets bad when your stamina runs out and you can’t run no more). Apparently this recipe is in an unassuming note somewhere. Anyway, that didn’t help my mood, as it was still raw from having trudged through the whole place fighting when I could have been questing. 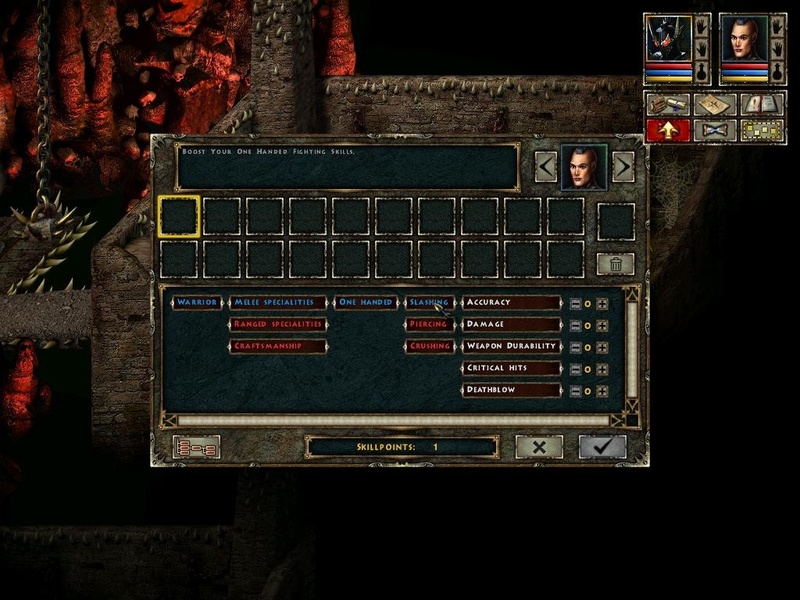 With the advent of Act 2, the game did finally begin to pick up and hark back to the better parts of Divinity — you finally escape the Citadel and end up in an imp village that isn’t constantly hostile (though conversation options indicate that you can drop that and massacre everything). Excruciatingly squeaky voices aside (I’m pretty sure Jar Jar Binks and Throne of Bhaal‘s Cespenar had been and gone by this game’s release, so no excuses), it’s refreshing to get the humorous conversational element back — the fun little bits and pieces like finding keys under doormats and the Death Knight’s constant whispers of murder and sarky comments in your head while you go around helping everyone. Act 3 continues in this vein, continuing the quest-driven conversational elements with that all-important “kill everything” get-out clause for those that just want to fight. In this way, the game’s become the much more focused version of Divinity that I perhaps wanted all along. Acts 2 and 3 are more manageable open wildernesses each with a hub town, rather than the few absolutely collossal open plan platters of the first game with towns and villages sprawling everywhere. Okay, maybe the skill system is just a little bit overwhelming. And that’s just at the beginning when you haven’t opened all the other avenues! The game is permeated by good intentions that don’t quite work out. The Battlefields system, for example, allows you to teleport to large landscapes full of enemies that you are supposed to just chew through. 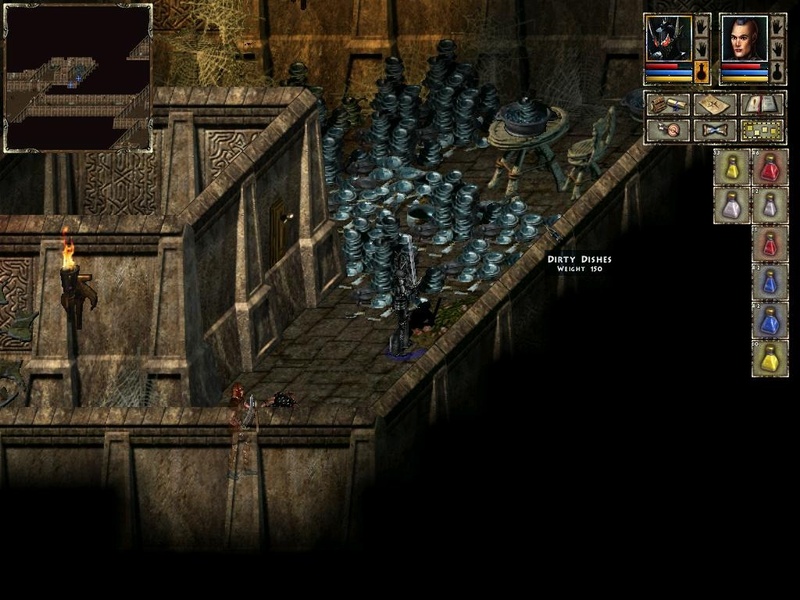 There are a few half-hearted kill-this, find-that quests, which place their objectives at the bottom levels of the various seemingly-endless dungeon mazes that descend from the overworld. In theory, it’s a good idea — if the main quest is bogging you down, you can sidle off and grind some levels. In practice, combat isn’t that good and without any real narrative drive it’s just plain boring. Endless combat is great if you’ve got an engaging battle system — endless combat when fighting is a bit shonky is just a little masochstic. I can see all the improvements in character generation and growth, I can see the massive benefit of having more than one character… But, fundamentally, the combat system is still pretty weak. To go along with the optional grindfest, you can also respec your character at any time you like, provided you’ve got the gold. It’ll cost you more to blank a skill the more levels you’ve accumulated, but if things aren’t going your way then there is that get-out clause. No more hitting Josephina and being stonewalled (unless you spent all your gold on some bangin’ loot). Gold seems like an awfully arbitrary limiter, but it’s better than nothing and you can just go loot-diving in the battlefields until you can afford a respec. The DeathKnight talks to you telepathically, so he can insult everyone with impunity. It’s got some things right, but it’s still just not quite there. The enjoyable parts are seperated by huge gulfs of level populated by hordes of the same few monsters — every time I get tired of combat and start to hate the game, I’ll stumble into some delightful bit of conversation and fall in love all over again. Well, at least now I’ll definitely play it to completion. I was a bit worried at the beginning, there, but it’s pulled through. 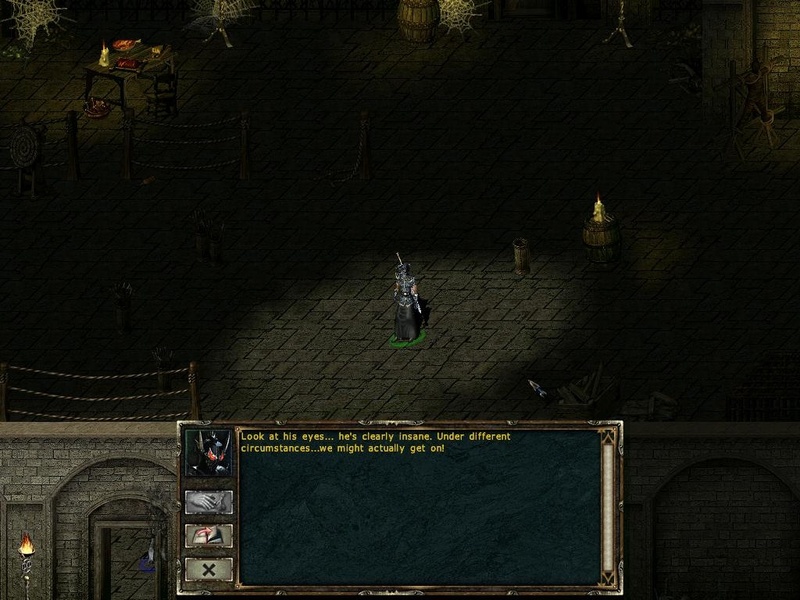 This entry was posted in Gaming and tagged Beyond Divinity, Divinity, Divinity Anthology, hack 'n' slash, late to the party, RPG, singleplayer by Rao Dao Zao. Bookmark the permalink. Funny that the first part of the game seems again the weakest one like in the first Divinity. How does the two characters system works in combat? Do you control one character directly like in DD and you can give the Death Knight orders? I didn’t look into BD because of the two character systems and because I thought it is even more combat heavy.